Education Minister Michael Browne has assured the general public that he did not receive a kick back during the procurement of E-books for the nation’s children. Browne addressed the issue directly for the first time since prime minister Gaston Browne pointed to serious procedural breaches in the million dollar transaction. “There was no hanky panky,” Browne told the 2019 budget debate. He said he heard rumors that he stole $10 million for the transaction and took it to the Cayman Islands. The minister said he was taking full responsibility for the breaches which has left the future of the e-books scheme uncertain. “I want to apologise to the honourable prime minister,” Browne told the Lower House. Browne said in the future he will be more careful to highlight such important details as a licencing fee. Prime Minister Gaston Browne said the minister would have ultimately be held responsible for the matter but to date has taken no action against him. 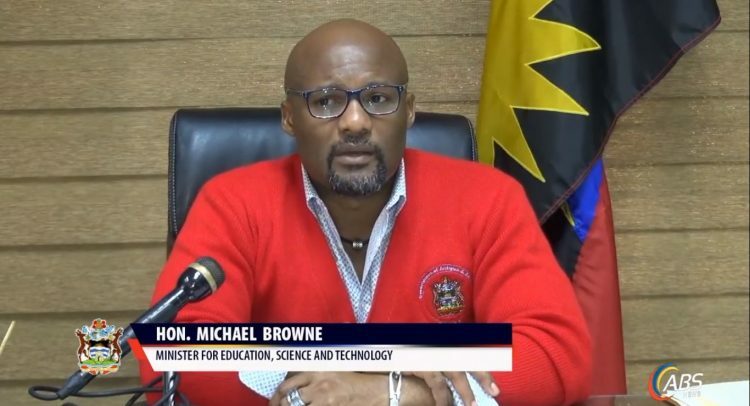 On Monday, opposition leader Jamale Pringle called on Browne to be removed as education minister. The alleged error could cost government US$ 5 million annually in a licencing fee that was never brought to the attention of the Cabinet. PM Browne maintains that it was the Board of Education and not the ministry that should have handled that transaction. The e-books were procured from an indian firm which is now demanding its money. The minister says negotiations continue to reduce the $250 user fee per person annually.